Here’s a fun freebie from Educents! 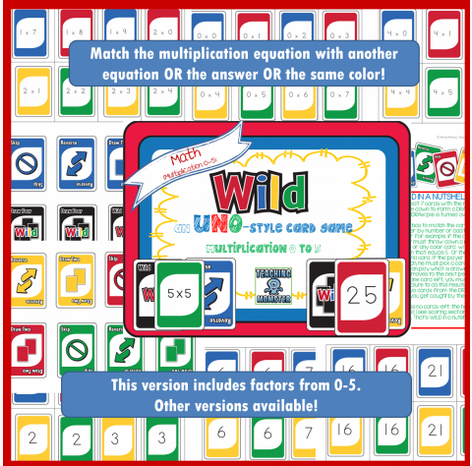 You can download a FREE Uno Wild Multiplication Game. This game is played with rules similar to the traditional Uno game, and it’s a fun way for the kids to learn matching, multiplication and more. Also, in case you missed it you can still get a Back to Homeschool PreK-3rd Grade Bundle for FREE. This is a $20 value and includes resources for Pre-K through 3rd grade students.